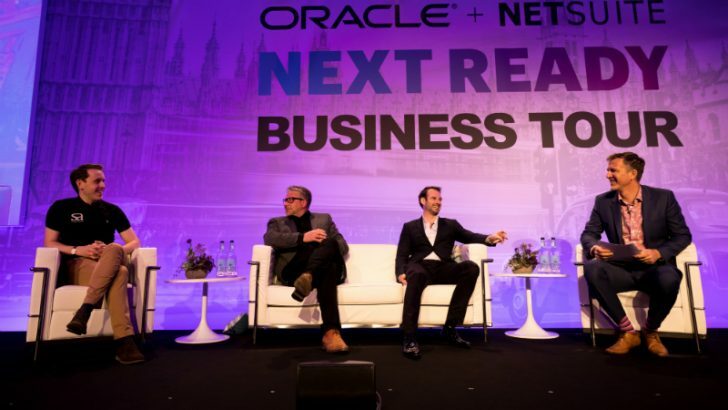 The NetSuite Next Ready Business Tour came to London with a distinctly European feel. It followed SuiteConnect at Openworld a couple of weeks ago where ET spoke to Evan Goldberg and NetSuite announced their blockchain as a Service offering. NetSuite has now unveiled SuiteSuccess for UK & Ireland, more European localisations and a new data centre for Germany. There was also some customer win announcements and a new multi-national partner, SystemsAccountants. Even before the acquisition NetSuite were doing well. Arguably if Oracle hadn’t acquired them when they did, with a one billion run rate, there was the possibility that the company might have become to expensive. It’s value would almost certainly have increased, a fact that T Rowe Price was keen to point out. However potential revenue is difficult to value, with so many uncertainties. He went on to state that Oracle has enabled NetSuite to deliver new capabilities. According to Turner this means more industries covered, more products, more countries supported and more success. NetSuite has always had a focus of being a global company. Its features are often targeted at its largest market, the US. There are few ERP solutions available today that localise as quickly as NetSuite. Preparing itself for each specific region and country in a full manner to be locally competitive. Mark Woodhams unveiled their latest localisation in Europe, adding Spain and Portugal. This localisation includes tax and regularity requirements for organisations headquartered in those countries. This is not one of the regions in Europe where they have a strong physical presence. This move should change that. At SuiteWorld earlier this year the company launched SuiteSuccess. This is a four stage customer engagement program (Build, Engage Optimize, Consume). It drives faster and more successful implementations along with faster time to value. Possibly, more importantly it looks to support the in life experience for customers. While the original SuiteSuccess was launched in the US NetSuite is now rolling out SuiteSuccess Financials and SuiteSuccess Wholesale Distribution for the UK and Ireland markets. As a result of its success Woodhams is not only recruiting a sales executive to hunt new business but also account managers to look after accounts once they have been sold the system. It is in how SuiteSuccess improves customer engagement that is important. Since launch, customer satisfaction is above 90%. This has pushed NetSuite back up to compare with the much smaller pure cloud companies. This is a dramatic evolution not just in the UK but also the US and is one that other cloud software providers are realising. Customer retention is critical, but to retain customers one needs to look after them. It is no longer the case of implement and forget as has happened before. Today, cloud software is improved constantly but unless customers are aware and update their processes to match the those new systems they cannot take advantage. 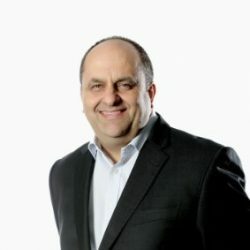 ET spoke to Craig Sullivan at the event and he revealed that SuitePeople will be available in beta in Q1 2018. There is also likely to be more localisations to come in the region over the coming months as well. Woodhams revealed that NetSuite will add a third data centre in Europe over the next 12 months. Not surprisingly this will be in Frankfurt, Germany. NetSuite is also poised to open a major operation there to compete in the SAP home territory. So are NetSuite delivering on the promise? The proof is in the constant stream of new customers that NetSuite is now able to talk about in Europe. They recently announced MIsco. On stage at the event were Buster + Punch, OSL Cutting Technologies and SystemsAccountants. The latter are both a client and partner. NetSuite now has more than 40,000 customers in the cloud. Putting that into perspective, Epicor claims around 22,000 customers of which only a small percentage are in the cloud. The announced customers vary considerably in nature. Buster+Punch are only three and a half years old. It is a home fashion business, manufacturer, retailer. It has expanded rapidly, to sell in 74 countries with 7 office locations across 3 continents. They are now live on NetSuite after a very short selection process and now in a position where they have a single trusted view of their data. In contrast OSL Cutting Technologies, according to Matthew Grey, described their offering as: “if you want to cut a hole in steel we are there.” They sell across industries that include construction, fabrication and aerospace. Founded in 1865 they have changed their business model over the last 4 years. Sixty per cent of their revenues are now export driven. They have distribution hubs in China and the US. NetSuite can no longer hold back news for the next Suiteworld. There is just too much happening. The growth and additions to its software is becoming if not unstoppable then at least hard to stop. There is room for competitors, but it is difficult to see where they can compete across all the same markets and verticals that NetSuite are already in. The only exceptions are probably Microsoft and SAP, though SAP is a long way from having a coherent story in the mid-market. Since the acquisition by Oracle NetSuite has enjoyed a measured growth that seems sustainable. It is hitting its targets and has retained its cultural identity to an extent within the larger Oracle. The risk is that if they miss those targets and Oracle believes that it can impose a “better” culture within the business unit that could have dire consequences. At some point those targets will be missed, it just depends how much of the NetSuite culture has bled into Oracle at that stage and whether there will be any significant changes.